On a recent episode of my Lykken on Lending podcast, we had the privilege of interviewing Dale Vermillion on leadership in the mortgage industry. During our conversation, we discussed something that is central to Dale's philosophy and gets at the heart of something that all great leaders in the industry value. One of Dale's great passions is his work with Mortgage Professionals Providing Hope (MPPH), a non-profit organization that facilities service projects connecting professionals in the mortgage industry with people in need of help. The MPPH is a great example of the kind of thing that the best leaders in our industry seek out. Why? Because the greatest leaders among us recognize how blessed they are in the opportunities they have and respond by developing the desire to give back. Giving back to society is certainly good for business, providing humanitarian aid helps bolster our public image and that of our company. However, whether people can see the good work that we do or not, we'll do it if we're great leaders because it reveals the kind of integrity we must necessarily possess to be the great leaders we are. The first and perhaps simplest thing you can do is write a check. A lot of companies do this and if yours isn't one of them, you are missing out on a serious opportunity. Importantly, the organization to whom you choose to give must say something about your organizational values. A good question you might ask before where you choose to give your money is, "What do your stakeholders value?" What causes do your customers, partners, employees and investors care about? Give to those causes, and you'll show that you are indeed a generous leader. Writing a check is easy. Sure, it costs money and it affects the bottom line. But it takes little investment of your time and energy—which are the most valuable resources you have as a leader. If you really want to show you care and that you're grateful for the society that has provided the opportunities for you to succeed, you'll be willing to get your hands dirty. Certainly, you can get involved with projects facilitated by the Mortgage Professionals Providing Hope, but there are also opportunities in your own community for you to give back. You can organize a team to go around the neighborhood picking up dresses, get a small group to go visit sick kids in a hospital, or work a few hours in a soup kitchen providing food for the homeless in your area. There are countless opportunities for you to give back right in your own backyard. Take advantage of them. Not all the work you do to give back to your community has to be physical. Not only can you serve others with your hands … you can also serve them with your mind. As a leader in the mortgage industry, you have certain knowledge that can be helpful for people in your community. Have you ever considered partnering with your local library or community college to offer a class on financial literacy? When people are not educated on proper financial management, entire communities and the general economy can suffer dramatically as a result. As a leader in the mortgage industry, you have the unique opportunity to plug up that leak before it bursts. Do people in your community understand personal finances? If not, you can be the one to teach them. Giving back to your community is important. If you possess the humility and gratitude that make a great leader, you understand that you were blessed to be part of a culture that ultimately lead you to success. You didn't do it alone. But it isn't just your community or general society that helped you succeed—it's the people sitting right outside your office door. 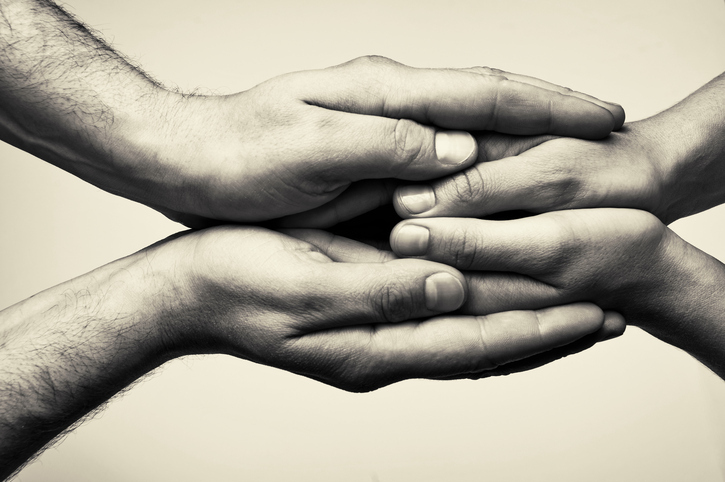 Giving back to your employees is an absolutely essential step to becoming a generous leader. Many employees, as they're trying to scramble their way up the ladder of success, are quietly craving the appreciate and recognition of their superiors. And yet, too many managers in business ignore their employees—barricading themselves in their offices and focusing on higher-level strategic goals to the neglect of the very people who are helping them accomplish those goals. One simple way to show your employees that you notice them and that you care about their work is to take them to lunch. You have to eat, don't you? Monday through Friday, there's an opportunity for you to take the time to get to know five of your employees and to give back to them for their efforts by showing them that they matter. Along with the last point, one simple way that you can become more generous in your leadership style is to constantly thank your employees for their work. But it doesn't have to end with your employees. Great leaders continually thank everyone for everything. Take the time to thank your employees for their efforts, but also thank your other stakeholders. Thank your investors for taking a chance on your company. Thank your customers for choosing you over your competitors. Thank your vendors for agreeing to partner with you and providing you with the great products and services that help you do your great work. Merely saying the words "thank you" is a magical thing. You may be grateful, but people don't know until you actually say the words. So, say thanks. Always. One interesting way to show you're grateful for your employees, customers, and others is to give them prizes. I'm not talking about incentives. I'm talking about giving them rewards that they didn't know they were getting. There's a difference. Incentives have their place, but they are ultimately earned. You aren't giving anything away. If you really want to show you're grateful for people, giving them something without them even expecting it. Send your top employee for the quarter on a two week vacation to Hawaii—just to show you're grateful for the work they do. As a leader in your organization, this is important. People are naturally going to credit the leaders of organizations for any success the company achieves. Don't give into the temptation to accept that credit. If you really want to become a more generous leader, never take the bait of believing that you are responsible for your own success. Always think of someone else to give the credit for your success. Whenever someone is praising your greatness, give them someone else to praise. In the end, generosity is all about humility. And if you exhibit that characteristic, you will undoubtedly be the kind of leader that everyone wants to follow. David Lykken, a 43-year veteran of the mortgage industry, is president of Transformational Mortgage Solutions (TMS), a management consulting firm that provides transformative business strategies to owners and “C-Level” executives via consulting, executive coaching and various communications strategies. He is a frequent guest on FOX Business News and hosts his own weekly podcast called “Lykken on Lending” heard Monday’s at 1:00 p.m. ET at LykkenOnLending.com. David’s phone number is (512) 759-0999 and his e-mail is David@TMS-Advisors.com. This article originally appeared in the July 2016 print edition of National Mortgage Professional Magazine.